Jonathan Jones, Tradition today: Indigenous art in Australia , 'Pedro Wonaeamirri', pg. 172, Sydney, 2004, 172, 173 (colour illus.). Hetti Perkins, Art + soul: a journey into the world of Aboriginal art , 'Pedro Wonaeamirri', pg. 154-157, Carlton, 2010, 163 (colour illus. ), 281. 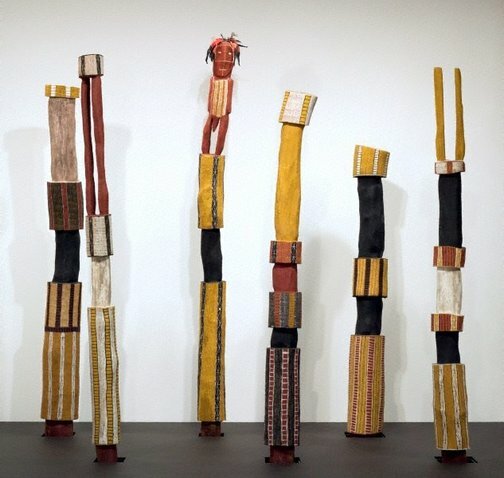 One sun one moon: Aboriginal art in Australia , ‘Pedro Wonaeamirri in conversation’, pg. 133-136, Sydney, 2007, 137 (colour illus.). Australian Perspecta 1999: living here now - art and politics , Sydney, 1999, 30.